There are typically mainly two ways of answering this question. The first way being, that knowledge is mainly, if not solely, acquired by observation and experience. In this view, the use of the 5 senses is main method knowledge is acquired. The second way of answering, is that knowledge is mostly, if not always, acquired through intuition and reasoning. In this view, knowledge comes before any empirical testing or observation ever takes place. People who hold to the former view are Empiricists; those who hold to the later view are Rationalists. It should be noted just because one holds one of the two positions as the main means of acquiring knowledge, does not mean that you believe that the other is illegitimate. In the modern era, the scientific endeavor have taken center stage in our pursuit of truth and elevated to a position that used to be given to priests in the Middle Ages. Thousands of kids grew up watching Bill Nye; others have been enamored with he works of Stephan Hawkins, Richard Dawkins, and Lawrence Krauss. All of these people are excellent scientists to be sure. These people though, not only speak on matters of science, but they have taken it upon themselves to speak on matters of metaphysics and morality, claiming that both God and Philosophy are dead. That all that exists is can be explained by the Hard Sciences. There are others who believe that Economics, Psychology, Sociology, and History are to conform to the hard sciences and use the Scientific Method when doing analysis. Let us buy into the proposition that empiricism is the only means of gaining learning knowledge, and hence truth. What empirical observations and tests did anybody ever perform that gave them the knowledge of the truthfulness of how knowledge is acquired? Who empirically validated whether or not somebody acquired real knowledge through seeing, tasting, touching, hearing, and smelling? How does anyone really know that they are really seeing anything? On what basis do they trust their senses are telling them the truth? The only real answer is one of intuition. They intuit that if the material world exists, then they really are experiencing it and that their senses are accurately telling their brain how the world really looks, tastes, feels, and smells. So as you can see, the empiricists have to borrow from the Rationalist epistemology to even get his epistemology off the ground. Empiricism rises and falls on whether or not the senses can be trusted. We know they can be trusted because intuition and reason tells us that they can. We know that they can tell us truth about the real world, because reason lets us know that they can. The empiricist must concede that there is at least ONE instance where knowledge is gained a priori, that is to say, before and independent of observations and experience. 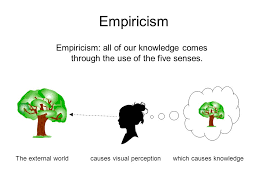 Now that we have demolished empiricism on purely philosophical basis, we should also show that empiricists are wrong in stretching the domain of the scientific method outside of the hard sciences. Empiricism is great in telling us how the moon affects the tides. The Empirical method is great in giving us a robust explanation of how the diversity in biological life came about. What the scientific enterprise is not meant to do though, and cannot do, is to answer metaphysical, ethical, and economic questions. There is a debate among mathematicians about whether or not math is something we discovered, or if we humans invented it as convenient tool to operate in the world we live and perform certain scientific studies. Let’s assume that numbers do exists, that math is something we discovered. The scientific method is inadequate to even attempt to give us knowledge about them. Numbers are not concrete and physical objects. Nobody has ever seen a number, numbers can’t be heard like a bird can, and we can’t touch numbers. Have you tried eating the number two? What does it smell like? There is literally no objective ways to empirically test and observe a number if numbers indeed do exist. The only way to gain any knowledge about the nature numbers is through the use of reason. What about Ethics? Ethical Imperatives are purely conceptual. What tool does the scientific enterprise have to tell us the ontological make up of “thou shalt not kill”? We are trapped by our observations into 1 time dimension and 3 space dimensions. By definition, we cannot observe anything beyond that dimension. Due to our inability test and absorb anything outside of our universe, People like Hawkins and Dawkins cannot tell us a darn thing about any being that exists beyond our universe. They won’t be able to tell u whether or not God exists, and if he does, is he or she physical? What qualities does this being have? Are there other universes? Are they governed by set laws of physics? If so, what are they? These are all questions that cannot be answered by the nature of our existence and the limits of the scientific method. We are limited to only those things that we can indeed observe. If a something exists beyond the physical, and we can indeed gain knowledge about that which exists, then it has to be gained through the use of reason. Finally, in the field of Economics, empiricism must be abandoned due to the nature of economics and the assumptions that underlie the scientific method. Economics is the study of human action given scarce resources. The scientific method assumes that the thing being studied is constant and that experiments can be repeated with the expectancy of arriving at the same result (due to the assumption of constancy. For example, we assume that the laws of gravity are constant, that it won’t change. Thus we presuppose that we can throw a rock up in the air a hundred different times with the result being the same all 100 times, namely, that the rock will fall down back to the ground. The economy is never like this. It is impossible to predict the economy in such manner as human beings act with preferences and can change what their preferences are. Furthermore, the amount of resources in an economy is always changing. As the amount of resources increase or decrease, individuals will change their preferences, and thus their actions to accommodate such changes. Actions all take place in time, making it impossible to undo the actions. This puts a restraint on being able to scientifically test economic models. For example, we can’t run multiple experiments to see which model is correct regarding the great depression of the 1930s. This is because we cannot go back In time and run relive he 1920s and 1930s and change only one variant each time to see what would have occurred as a result. Even if we could go back in history and changed the interest rate set by the fed for example, this would in turn change other variables because humans will react in a different way than what they did in reality given different sets of options. 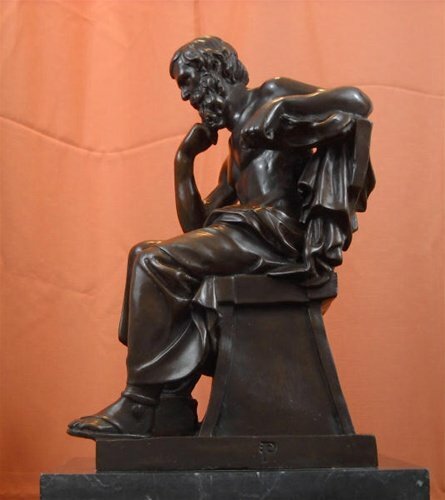 The only real way to truly learn Economics is by reflecting on yourself as a human actor and deduce through the use of reason all the things that flow from the axiom that humans act. 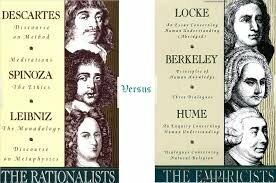 Empiricism as a philosophical school should be put in the trash bed of history, giving way for the revival of Rationalism. The mind truly is a terrible thing to waste!